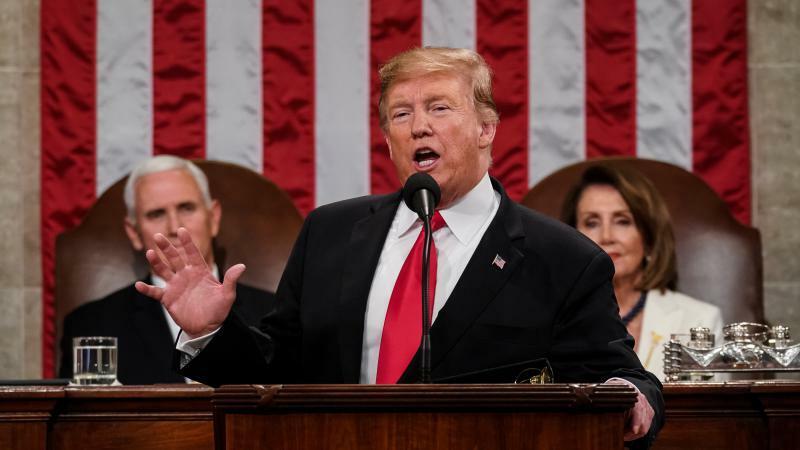 President Trump, with Speaker Nancy Pelosi, D-Calif., and Vice President Pence looking on, delivers the State of the Union address in the chamber of the U.S. House of Representatives Tuesday night. President Trump says he wants to stop the spread of HIV in the US in the next decade. Advocates are cautiously optimistic. That story on the next All Things Considered. All Things Considered from NPR News airs weekday afternoons from 5:00 pm - 7:00 pm on KRCB-FM Radio 91 / streaming @ norcalpublicmedia.org / Comcast channel 961 throughout the Bay Area / Listen on the go - download the FREE KRCB mobile app from the App Store & Google Play!